Skye Gravestones | Angus & Katie (Ferguson) Mackay. Angus & Katie (Ferguson) Mackay. In loving memory/of/a dear husband and father/Rev. 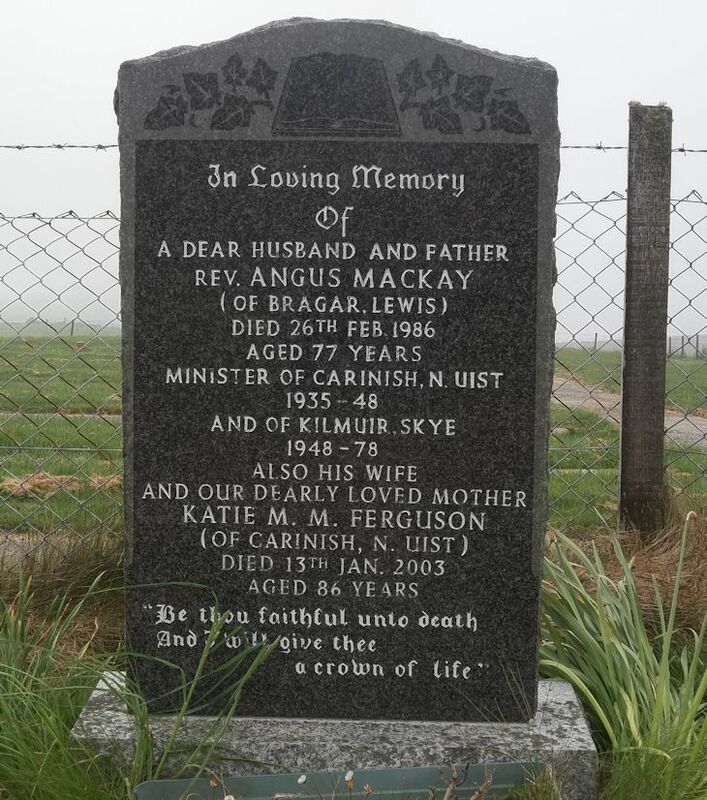 ANGUS MACKAY/(of Bragar, Lewis)/died 26th Feb. 1986/aged 77 years/minister of Carinish, N. Uist/1935-48/and of Kilmuir, Skye/194-78/also his wife/and our dearly beloved mother/KATIE M. M. FERGUSON/(of Carinish, N. Uist)/died 13th Jan. 2003. "Be thou faithful unto death/and I will give thee/a crown of life"